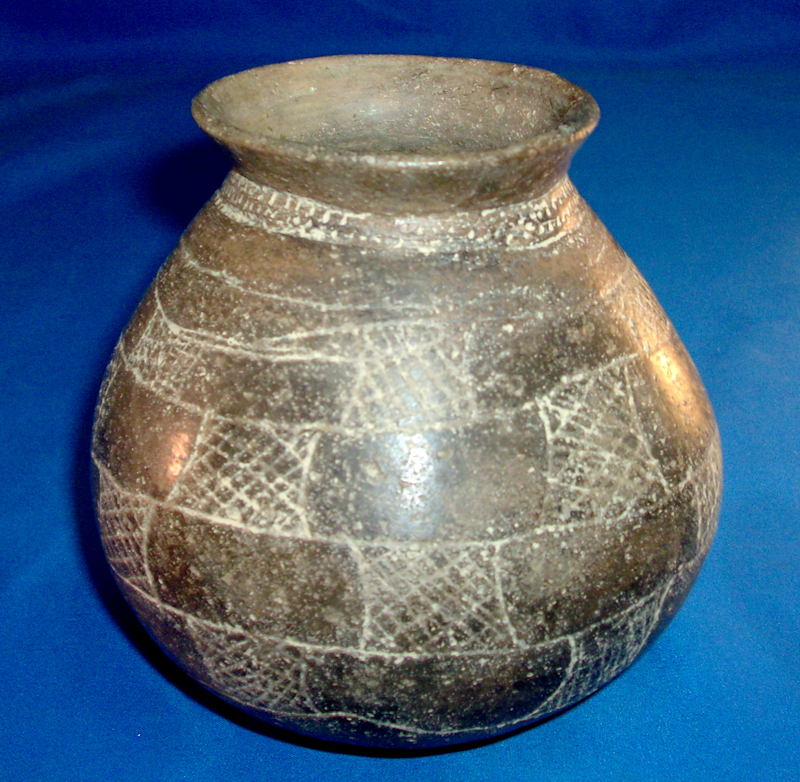 A Medium Size, Exceptionally Rare, Very Well Made, Caddo Olla Shaped Engraved Jar That Exhibits Clay Aging Coloration And Surface Patination, Surface Grod Deterioration, Aged Soil Deposits In The Engraving, Correct Shape And Style Decoration, Aged Open Pit Firing And Firemarking, Correct Type Material & Manufacture For The Area Found. Pictured In "Art Of The Ancient Caddo", Page 44, Fig. # 66. This Shape And Type Engraving For Caddo Vessels Are Seldom Seen In This Condition! Includes A Ken Partain Certificate of Authenticity!